Psalm 8:1, 4 Lord, our Lord, how majestic is your name in all the earth! You have set your glory in the heavens. what is mankind that you are mindful of them, human beings that you care for them? Every day I am filled with wonder that the Creator of the heavens would ever be thinking about me. Often I run to the Lord with a prayer that sounds more like a list of things I think I feel like I must have...as if He is unaware of what is going on right now in my life:) Sounds a bit silly doesn't it? I am absolutely certain today that there is nothing I could bring to the Lords attention that He does not already know. And even at times when I go off the deep end, His grace fills the gaps and His love remains unconditional and never ending. He is truly majestic! Would you join me today and take a moment to think about how you talk to the Lord. Do your prayers sound like a list of wants? Let's try some thankfulness today for the One whose glory fills the heavens! 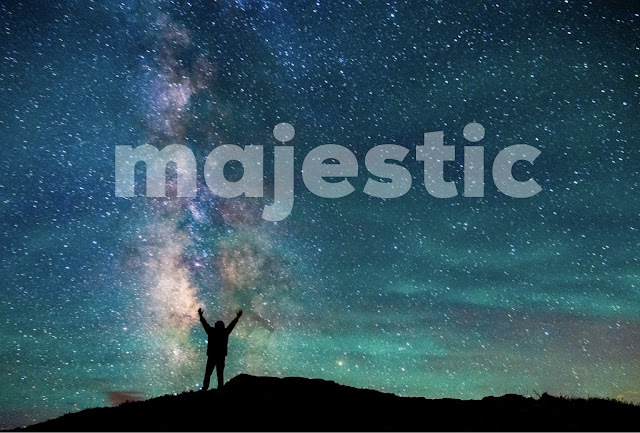 Lord, MY Lord, how majestic is Your name in all the earth!